One of the other great benefits to rose bushes is that they are really easy to plant in your flowerbeds or gardens. Choose a sunny location that is well-drained, and follow these 7 tips to have beautiful blooms year after year. 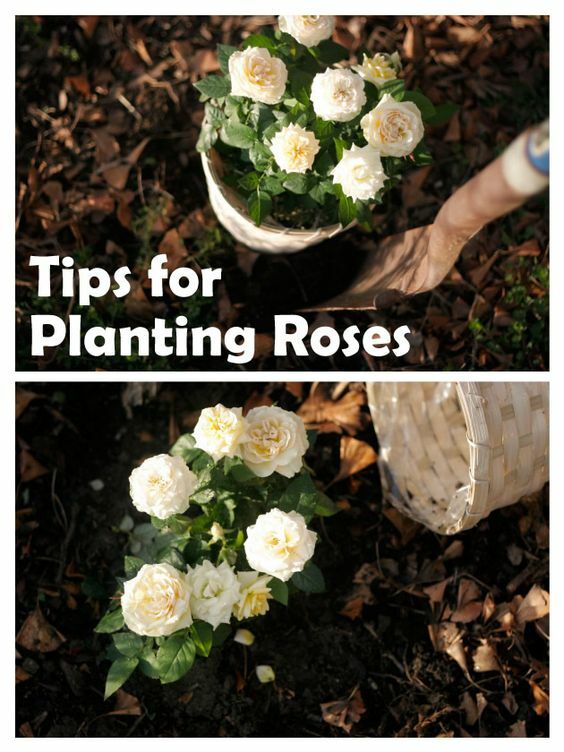 If you are planting rose bushes that are already potted in soil, it's best to plant them outside in late spring or early summer as they are used to "hot houses" at the nursery or garden center and are more tender. Make sure to acclimate them to the outside temperatures for about a week before you intend to plant them, bringing them inside at night to protect them from the cold. After you have sufficiently dug the planting hole deep enough, slightly mound a little bit of soil in the bottom for the rose bush to rest on. This will allow the roots to fan out slightly beneath the plant. Phosphorus is important for plant rooting and flowering. So when you're planting new rose bushes it's important to add some phosphorus fertilizer to the bottom of the hole before filling it in. This will help the roots to establish more quickly and promote beautiful flowers. Garden Analyst explains 7 ways to add phosphorus naturally to the soil if you'd rather avoid commercial fertilizers. Holding the rose bush with one hand, start backfilling the dirt into the hole. Periodically tamp the soil down lightly to get rid of any air pockets that may have formed. This will prevent the soil from sinking over time. 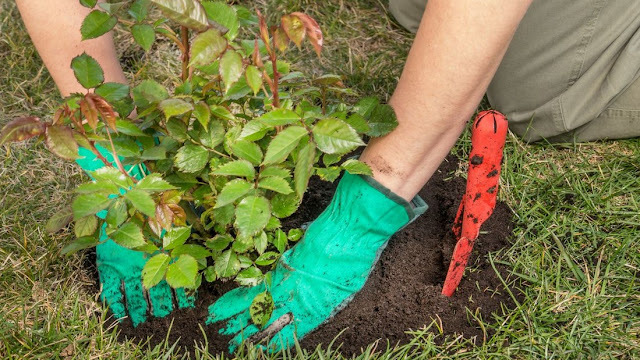 After planting, thoroughly mulch around the rose bushes to help retain soil moisture and prevent weeds. It's best to add a 3-4" layer of mulch over the soil above the roots while staying a couple of inches away from the canes themselves. The few weeks after planting a rose bush are critical. After planting, roses are more susceptible to water stress that can inhibit growth. Make sure to keep the soil slightly moist but not overly saturated as roses don't like the roots to be soggy.